Bay Insurance Solutions Kirrawee is an Authorised Representative of Insurance Advisernet, one of Australasia's biggest General Insurance Brokers. Our knowledge of the local insurance industry is second to none and our experience in handling insurance for many thousands of customers enables us to provide advice you can always trust. It also means you'll benefit from access to unrivalled financial strength, business efficiencies and buying power spanning every major insurer in Australia and New Zealand even access to major overseas insurers if and when required. Marcus has over 5 years experience in general insurance and specialises in providing personal advice to businesses on how to identify risks and adequately cover their assets and liabilities. With access to over 100 insurer markets, Marcus is able to recommend the best insurance solution and importantly provide exceptional personal claims service. Business Insurance is an important aspect of a business because it will protect you and your income from any unexpected events which may cause financial loss or legal actions to be taken against your business during business hours. There are many insurance options for different types of business that can include property damage, legal liability and employee related risks. To ensure you have selected the correct coverage for your business there are factors you need to consider such as the type of business, the location of your business and any other important comprehensive options. If you have some concerns for your business there are policies available to cover any incidents such as, theft, machinery breakdown, valuables, public liability and any deterioration of stock. The most important policy your business should consider is public liability, specifically if your business does not have a business premises and consists of you delivering services to customers. Public liability is one of the most important policies you could have for your business in the case a third-party have injured themselves while visiting your business or as a result of business activities. Any potential costs such as medical bills, legal fees or damage will be compensated up to a maximum limit. Having the correct cover for your business will benefit you in the long term as it will protect you from severe financial, legal and managerial issues which can then result in the interruption of business flow. Owning a business is a full-time occupation that is open to a wide range of risks that are both expected and unexpected. One of the best ways to provide your business with comprehensive protection is through investment in public liability insurance, which is one of the most popular covers for any business. Whether you are a property owner, retail outlet or medical professional your property requires protection. Public liability will protect you from any potential third-party accidents that occur on your premises, even if you are at-fault or not. The cover of medical, hospital bills or legal representation will be covered under the public liability insurance policy. If your business does not operate on a premise, but instead delivers services to clients, then you can still benefit from public liability insurance. This is because public liability will cover any third-party injuries that occur as a result of your worksite (where the service to the client is delivered) and any third-party property damage that occurs as a result of your business. Public liability is one of the most common and important insurance covers to have in order to protect your livelihood. 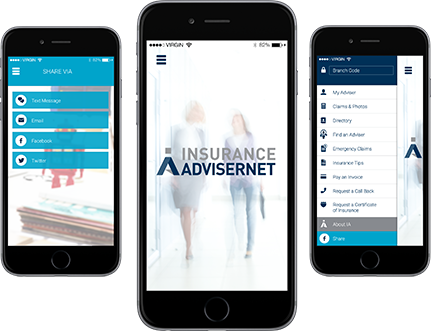 Bay Insurance Solutions Pty Ltd - Kirrawee is a Corporate Authorised Representative of Insurance Advisernet (IA) founded in 1996. IA are a national organisation in both Australia and New Zealand and this allows Bay Insurance Solutions Pty Ltd - Kirrawee the benefit of maintaining their local presence whilst being able to be part of a national group for products and services needed by their customers in todays complex business world. Thank you for contacting Bay Insurance Solutions Pty Ltd - Kirrawee! Your message has been sent successfully. One of our skilled Advisers will be in touch with you shortly. Bay Insurance Solutions Pty Ltd - Kirrawee is a corporate authorised representative of insurance AdviserNet Australia Pty Limited. Corporate authorised representative number 405125.